James E. Tomlinson, 82, of Carbon Cliff passed away Nov. 6, 2018 at Hope Creek Care Center in East Moline. Per his wishes there will be no services and cremation rites will be accorded. Quad Cities Cremation Center is assisting the family with arrangements. 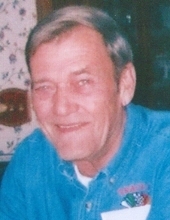 James was born Feb. 16, 1936 in Silvis, IL the son of Henry W. and Elizabeth Reese Tumlinson. He married Harryet Clegg Nov. 27, 1964 in Hulbert, MI. She preceded him in death on Jan. 6, 2017. James served in the Air Force from 1954-1964. He worked as a welder at John Deere retiring in 1997 after 33 years. After his retirement James enjoyed bartending at Garretts Track Inn in Carbon Cliff and driving for the Greater Quad Cities Auto Auction. James also enjoyed golfing and traveling to Florida in his motor home for the winter. Survivors include his children Tanya (Kevin) Seward; Mark (Amy) Tomlinson, Richard “Rick” Tomlinson and David Tomlinson; 7 grandchildren; 5 great grandchildren and a sister Barbara Lewis. James is now with his loving wife Harryet, his parents and other loved ones. To plant a tree in memory of James E Tomlinson, please visit our Tribute Store. "Email Address" would like to share the life celebration of James E Tomlinson. Click on the "link" to go to share a favorite memory or leave a condolence message for the family.